Dragon 1.6 scale plastic wheels. This section contains tips and tricks on building and running model vehicles. If you know any then post them here and if you need to find any, try your first search here. The way forward would be to 3D print them, you could have bearings & rubber tyres. We’d just need some kind soul with some spare time to design them for us. Hi, yes I can 3d print them with the bearing in place, will have. Ago tomorrow at drawing them out. Hi, I am aiming for a bearing wheel set of lower hull, and one mid centre of wheel. That should balance the load. 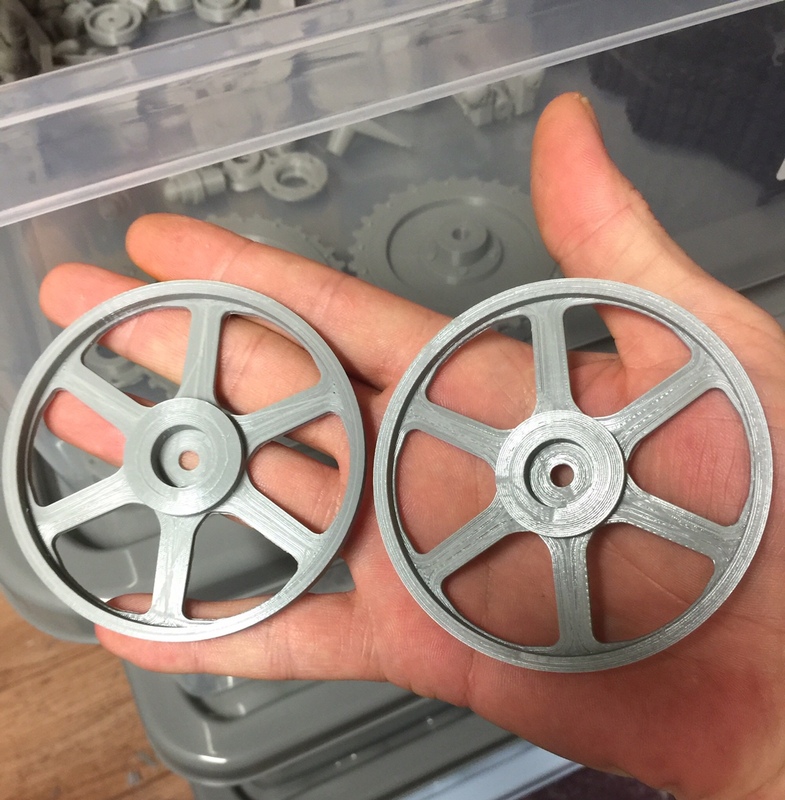 Thanks for pic, there will be two roller bearings per wheel axle. This will give me a bearing surface of 12mm which is more then enough for the weight and balance of the model. I printed off a test wheel last night and will have a play around once I have cut out the tires. There is space for a third bearing if needed but I don’t think it will be.time may proof me wrong. Hi, I printed off a test wheel last night. I now need to wait until the Delfin turns up to machine the tire. I think that two roller bearings will be find. Having a go with TPU now, but I needed to set the print speed very very low as any higher and the filament stuck in the printer feed gears. Looks like it’s going to take a full two days to print one tire. Hi Terry, what printer & what settings are you using? It’s an ender 3. I need to print at 25mm or the filament sticks in the gears. Temps, nozzle 210, bed 67. I am going to swap for Flexable play tomorrow, so hope that will speed things up a bit. For TPU try your nozzle at 230 degrees, your bed at 55 degrees &30mm per second. Oh, don’t forget to disable retraction!!! Yeah, 230C is the way to go - I used to get away with a little bit less with the Rigid Ink, but it would occasionally jam.